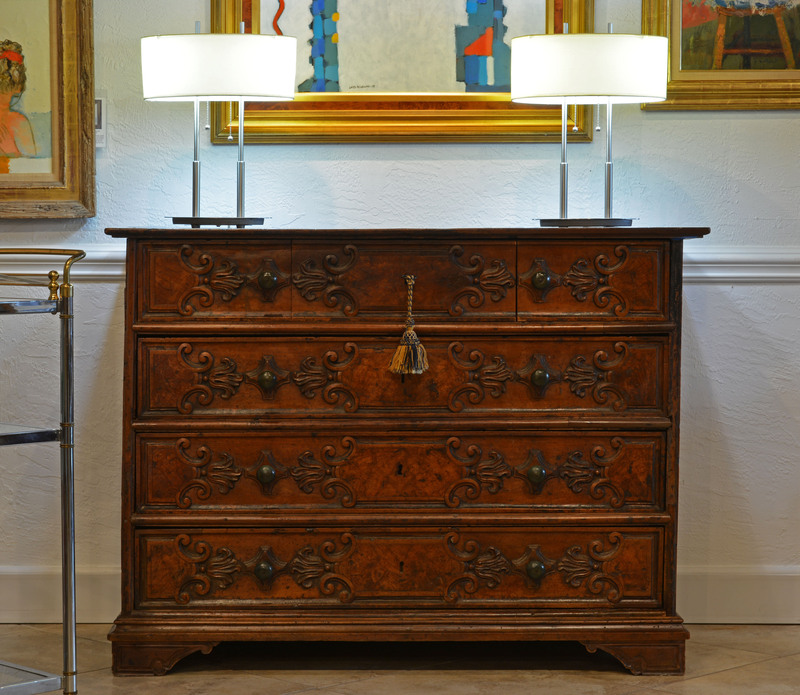 A magnificent North Italian late 17th century Baroque carved walnut commode, the rectangular top above a case with paneled sides fitted with four carved front drawers raised on carved bracket feet. L 55.5 in. D 25.75 in. H 40.5 in. Asking price $ 11,500. On the commode two modern brushed steel table lamps flanking a contemporary painting by Lars Frederick Hegelund.